It was a sunny afternoon, I was trying to soak up some Vitamin D in rainy Seattle when my married brother, B, called. Recently our conversations had become more frequent and in-depth – ranging anywhere from his wife & kids, marriage, hockey, relationships, writing, and work. That afternoon the conversation quickly turned to relationships, or my lack of them – with one of the most intriguing questions I have been asked by a married person. “What are things that I say as a married person that hurt you? And what are something’s I can do to help you in your single life”? My mind went rampant with what seemed like hundreds of ways that married people hurt singles, but went blank on how B could help me. As the conversation kept going I was able to formulate some thoughts to both of his questions; without ranting. Invite Them into Your Home and Life. 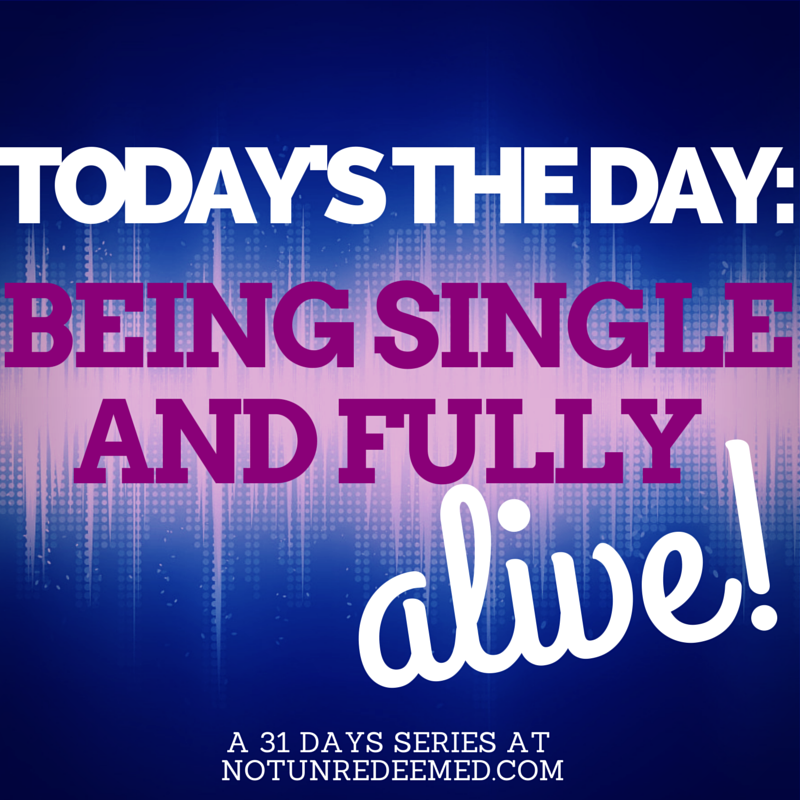 Categories: 31 Days - Today is the Day; Being Single and Fully Alive | Tags: 31 Days of Living Fully Alive | Permalink. 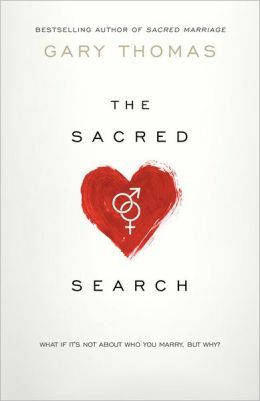 Before closing out this series at the end of the week, I wanted to share with you three books that have had a huge and helpful impact on my life regarding singleness and relationships. “How are you not cynical? I don’t see that in you.” I paused from cutting up a tomato and looked over at my roommate. I didn’t know how to answer that. To my surprise, I realized that no, I wasn’t cynical – she was right. But how? Because in the past I certainty have been cynical about singleness and relationships. And I’ve had a lot of good reasons to be. I walked away from our conversation with joy – the Lord can redeem and heal the pain and fear that cynicism masks. Singleness may mean that you don’t have one specific, physical person to walk out life with you, but it doesn’t mean you are alone. Jesus, the most intentional, fully alive single, had not one but twelve people He did life with. Community is vitally important to living life fully and healthily. I’m blessed by an incredible group of people who love me, put up with me, fight for me (some days with me!) and we do life together. Some live near by, others are a phone call away. There are two little devotionals I’ve been wanting to share with you all for a while that have been a big encouragement to me. I’m taking a sabbath break from my normal content and have been waiting for a chance to share these with you. Enjoy! The first is an other 31 Days Series by my friend Natasha Metzler. She is doing 31 Days of Word Snacks. They are short devotionals and scriptures and this series has been a big blessing to me. Check them out here. The second devotionals is on a website called ‘She Reads Truth’. It’s a community of women that are studying scripture together. The reading plans are simple, doable, and affordable. You can order a book if you want, but all of their reading plans are downloadable in their app. What I love about She Reads Truth, is that reading plans are short 2-3 week studies at a time, and they are easy to do with long distance friends! I just completed the Hosea plan, and it was perfect timing for my life as the Lord is showing me how much He pursues me. I will be starting their study on Hospitality in the next few days. Check them out here. She Reads Truth and Word Snacks” is a part of the “Today’s The Day: Being Single and Fully Alive” a 31 Days Series. To read more from this series please click here. The things that are given to me are good, God given, and enriched. Sometimes I’m tempted to believe the lie that if I enjoy singleness, what God has given me, than He won’t ever give me marriage. Friends, whatever the Lord has for us IS GOOD. Singleness is not a punishment, and my enjoyment or misery in it, will not manipulate my Father to give or withhold good things from me. If I’m single, than this is a good thing and I can celebrate what I have! I’m also not going to compare and contrast the joys of singleness with the responsibilities or joys in marriage. I know that there are things that are easier for singleness to do, and there are things that can be enjoyed only in marriage. To compare the two is futile. To each is a season, and we are called to live fully in the joy that each season provides, knowing that both are good gifts from the Father.